Fivefivephotos is based in the cute little town of Mantua, Ohio. Have you ever heard of it? Probably not, it’s known for growing potatoes. Mantua borders Streetsboro and Aurora. Remember the old Geauga Lake Amusement Park? We are 15 minutes from there. The wonderful thing about Mantua is that it is within an hour and a half drive of every major city in North East Ohio. That’s right. Cleveland, Akron, Canton, Youngstown, Geneva, Mentor-on-the-Lake, Perry, Chardon, Kent, Ravenna, Hudson, Elyria, and yes, even Sandusky are all within an hour and a half. Which makes Mantua Ohio a great location for a photography and videography studio. Fivefivephotos started in 2010 when Holly purchased her first camera from a friend who was really into photography. She wanted to learn everything she could about how to use the camera. This inspired a passion for photography. She started photographing friends, then their families, then photographed her first wedding in December 2011. After the success of that first wedding, she started up her business 5:5 Photography and booked an event every month of 2012. In 2013, Holly trained Matt to be her second shooter. Matt has a natural talent for figuring out mechanics and he quickly picked up Holly’s style of Lifestyle photography. By Matt’s third wedding he was better than the professional second shooters Holly had previously hired. 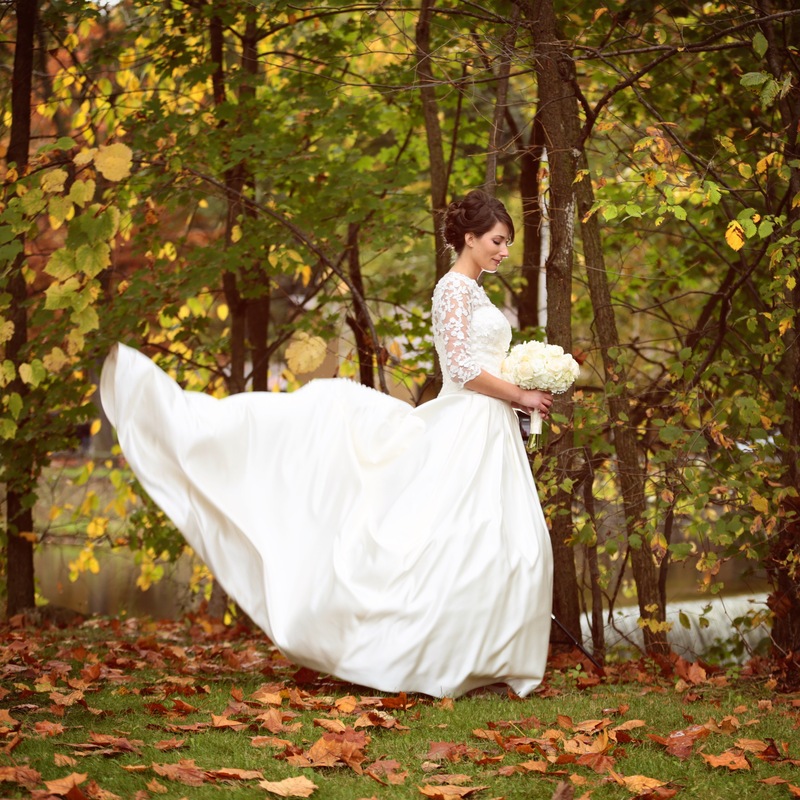 Between 2013 and 2016 the focus was primarily on Wedding Photography in Cleveland Ohio and surrounding areas. In 2017, 5:5 Photography was renamed to Fivefivephotos and has expanded its services to also offer Lifestyle Videography (Also known as Everyday Films, Lifestyle Films, Professional Home Videos, and Family Films), Photo Stories, and information through their Lifestyle and Inspirational Blog. Timeliness is very important to us. We do everything we can to ensure that we are not late. We make it one of our greatest priorities to be respectful in order to make sure you enjoy your day and remember the moments with your family rather than a pushy or rude photographer. “A gentle answer turns away wrath” (Proverb 15:1a) “Do to others what you would have them do to you.” (Luke6:31) Enough said. To take great photos for you. This is what you want to hire us to do, right? If you ever have any problems with a photo we will do everything in our power to fix it without an extra charge. To give the best customer service we are capable of giving. If this means working through the night, we’ll do it. We believe customer service is the foundation to any great business. To respond within 48 hours of any inquiry you have. To process your photos + videos in a timely manner. Your photos are done within 2 weeks and your video within 4 weeks of your event or session . For weddings we hold the same goal but may take slightly longer depending on the number of images taken. To be as helpful as possible. It is our pleasure to serve, and we are really good at it! Don’t be afraid to ask us if you need help. To go above and beyond our call to take pictures. We want to be more than “just photographers/videographers” to our clients. We want to inspire our readers and give new and helpful information with our unique perspective. We strive to continue to educate ourselves so that we can accomplish these goals to the best of our abilities. We research ways to better serve our clients and readers. We keep personal touches as a part of our business. And we offer specials that help us to connect on a personal level. We hold ourselves to an incredibly high standard in everything we do. To protect your memories in every way we can. Your past moments will never be recreated. We understand this completely. And would be more devastated than our clients if we ever lost photos or videos. To ensure this never happens, we back up all photos in three different ways. Matt is one of those photographers who pays attention to every detail that you spent months meticulously planning, while still being respectful, fun, helpful, and sweet. With his Marine Corps training, he brings respect, timeliness, and incredible photographic “sniping” skills to the table in a unique way. That being said, it’s fair to say Matt’s style is the raw emotion rather than the fake smiles, and the moments rather than the poses. Matt has been photographing alongside Holly since their second year in business. His natural talent and ability to capture the moments was evident after their first team wedding. By his 3rd wedding he was as good or better than other pros. Being a splendid husband and father has helped Matt appreciate and see moments for what they really are to you, irreplaceable. 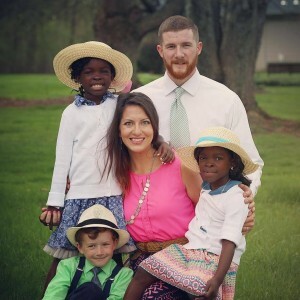 Matt’s passion is serving God by loving, providing for, and protecting his family. Those in between moments that show your love and relationship with everyone around you; those are the timeless photos, the heirloom moments that Holly captures. Holly is an artist with a passion for moments in life, living on purpose, creating a beautiful life for her family, documenting that life, homeschooling, continual education, adoption, food, cooking, gardening, books, faith, and efficient productivity. Holly’s mother and grandfather have, throughout her entire life, exposed her to fine art. They have trained her eye, influenced her art, and inspired a passion for learning. Holly’s father instilled in her the values of God’s love, kindness, friendship, and professionalism since before she can remember. Add the emotional insight Holly gains from being a wife and mother and you have a well-rounded intuitive photographer. “In 2008 we decided to grow our family, that’s when the doctors told me that I suffer from infertility. The next two years were an intense spiritual, emotional, and physical battle for Matt and I. I felt broken. When our infertility specialist called me one morning to tell me the wonderful news that my blood tests revealed I was finally pregnant, hope filled my spirit more than ever before. I knew this wonderful gift, this baby would be healthy, special, and used for God’s glory. And I knew I had to document my precious baby’s life. I bought my first ever digital SLR camera when I was three months pregnant with our first son Matthew. I never imagined that first camera would spark in me all of what Fivefivephotos has become. After a year of learning everything I could about taking high quality images with the equipment I had, my friend encouraged me towards a photography business. “You are really good.” she said, “You should do this professionally.” I chuckled in disbelief that I could start, run, and make a living off of a business where I am doing something that I love to do. But she was right and I am forever grateful for her encouragement. The past five years have been spent building the business of my dreams and growing our family. I love that I get to be myself, be creative, and stay at home with my family. Photography has become my all time favorite artistic expression. However, more recently I have been loving documenting everyday moments, typical outings, and fun family events with videography. It captures relationships in a whole new light. When I watch videos I took, edited, and have already watched too many times I am still amazed at how much of them I forget. Having high quality home videos has been a priceless blessing to me. What is Five Five for in Fivefivephotos? Matt + Holly feel they have been blessed much more than they deserve. One huge blessings came through an incredibly difficult trial. Infertility. Romans 5:3-5 reminded why some trials happen. It has become a life verse for Matt + Holly. When naming the business, they thought Romans 5:5 would be appropriate. 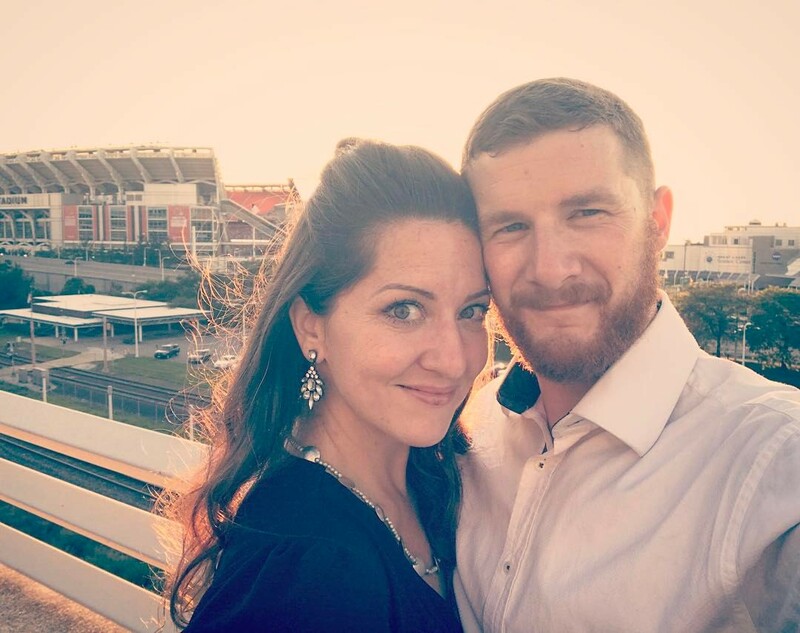 The Five Five in Fivefivephotos is to remind Matt + Holly that their business is a blessing from God, that their goal is to do their best and spread the hope that Romans 5:5 talks about, and that God’s Hope and Love do not disappoint. We didn’t go to school for business, or photography, or videography. Matt actually has an Associate of Applied Science where he learned to be a Heavy Machinery Technician. Holly went to school to become a nurse, then changed her learning path, traveled to Oregon and trained to become a Freight Broker. When the photography journey started in 2010, we both took online classes from some of our country’s most talented professional photographers. Other than these classes, we are self taught. We will both never stop learning, and never stop polishing our skills.